Now we are in our winter months, is your industrial cladding working as efficiently as possible for your building? Our specialism at Valent Roofing lies not only in industrial roofing, but also in cladding services. Industrial cladding is essential for a variety of reasons; in addition to enhancing the overall appearance of a building, it has a range of other benefits such as ensuring warmth and weather-tightness, building strength and rigidity, thermal and sound insulation, fire resistance and durability. At Valent roofing, we can advise you on which industrial cladding is perfect for your building or structure and will ensure that you have the correct specification and installation read more. The location of the building, its positioning and the external climate should all be considered when specifying your in cladding. 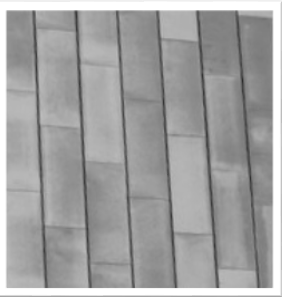 Its main responsibility is to protect the building from the elements, but recently industrial cladding has become recognized as a major factor in the whole aesthetic and design of a building. There are many variations for each industrial cladding system we offer, providing you with choice in line with functionality and design. The primary function of cladding remains as offering weather protection to buildings, and it’s important to consider the levels of protection from the elements your building or structure requires. As well as offering weather protection and producing a prominent appearance, industrial cladding can also be used to great effect in increasing a building’s energy efficiency where your energy bills will be greatly reduced. At Valent Roofing, we have you and your every building requirement in mind and can guarantee that we can provide you with industrial roofing in addition to efficient industrial cladding, which are environmentally sustainable, warm and weather-tight as well as aesthetically admirable.